San Francisco, 2007. Hunched man at Herbst Theatre. Philip Glass in special appearance. Glass sounds his name. Glass sounds his music. Gliding, smooth, transparent, rarely cracks. Glass on a lake at dawn is glass on the piano keys. Glass is here on the piano. Known as a minimalist. Minimal. Ist. Min. I. Mal. Ist. Sold-out house hangs. On every word. Small man is dry, is plain. Music is anything but. Plain, yes, on the surface, like glass. Dry, hardly. Like a storm. “Metamorphosis.” Right hand goes tinkle tinkle tinkle tinkle tink, tinkle tinkle tinkle tinkle tink, hush hush hush and pouuuuuuuuuur. Ceiling of theater unfocused. Brain goes elsewhere. Tinkle tinkle tinkle tinkle tink, tinkle tinkle tinkle tinkle tink, hush hush hush and pouuuuuuuuuuur. Swinging pocket watch. Br-rr-umm! What the? Br-rr-umm! Br-rr-umm! Goes left hand. Dreams replaced with moments. This moment. Br-rr-umm! Brr-umm! Large, heavy bird joins the dove. Flock of miscreants pausing toward no destination. Dance in midair. Tinkle tinkle br-umm! Tinkle tinkle. Ballet on the ivory. Left hand lifts right. Right pirouettes, dives toward earth. Birds or dancers? Br-rr-umm! Ends the piece. Small man talks more. He is not funny. He is nervous and awkward. People laugh at him being not funny. Glass causes discomfort. Discomfort causes nervous twitter. Laughing is result. Glass is man of few words. Next song. “Metamorphosis,” he says. Tinkle tinkle tinkle tinkle tinkle tinkle tinkle tinkle tinkle tinkle. Some kind of joke? Same song. Same song! Br-rr-umm! Br-rr-umm! Goes left hand, like before. Dance in midair, like before. Wait — no pirouette. No dive. Different dance, this one. Same birds, same dancers. Tiny variation. Br-rr-umm! Br-rr-umm! Ends the piece. Small man with hanging face makes claim. Claim is he cannot play piano well. Crowd definitely laughs now. Claim is variation on awkward. Glass opens up. Crowd opens up. Claim tickles crowd of old people in overcoats, skinheads with neck tattoos, librarians in sweaters, college stoners. All with different reasons to like music that sounds same. Naqoyqatsi is next. Q with no u. Fits this music. Notion says film work is paid work is work that shuns art. Glass shuns the notion. Qs shun us. Now, cello on stage, and percussion. Thwack thwack bm-boom klat-a-klat-a shhunk shhunk. Breeeer, bwoowoowwowwww. Twack thwack bm-boom klat-a-klat-a shhink shhunk. Breeeer, bwaawaawwawwww. Tinkle tinkle. Tinkle tinkle. Hard to tell hard to tell hard to tell hard to tell if if if if if sounds are sounds are sounds are sounds are deliberate or deliberate or deliberate or deliberate or if if if if if sounds are sounds are sounds are sounds are ccrrraaaasssshhhh or if if if if if sounds are sounds are hard to tell hard to tell deliberate deliberate deliberate deliberate. Brain goes elsewhere. Ceiling of theater unfocused. A walk at dawn in an orchard. Mist obscures visibility. Fallen logs, branches sticking out. Cello glides back into the ceiling. Gliding, smooth, transparent. Finis. 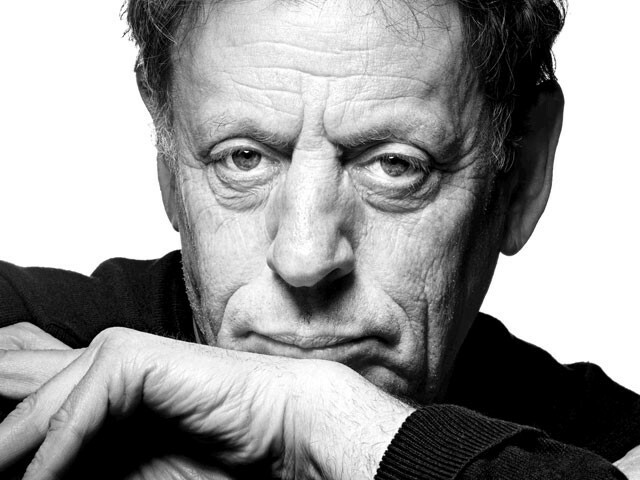 Philip Glass performs the Etudes and other works for solo piano on Wednesday, March 31, at 7:30 pm. Tickets are $17-$47. Visit www.foxtheaterspokane.com or call 624-1200. This article previously appeared in the North Bay Bohemian.